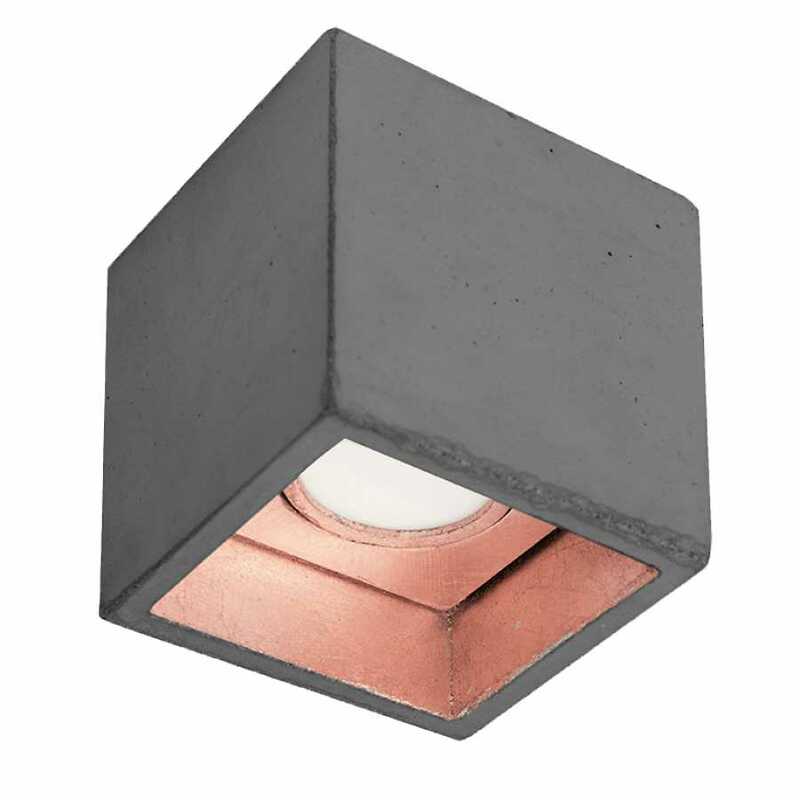 Constructed from raw, unrefined dark grey concrete, the B7 Dark Grey Spot Light by Gant Lights is a cubic spot light with a neutral aesthetic that is contrasted with either two choices of warm metallic inner light colour options gold or copper or a cooler neutral silver to match the matt grey of the concrete. The metallic inner material ensures that the light is widely reflective emitting a pleasant warm light for any home or commercial interior space. This minimalist, neutral dark grey design ensures that the Gant Lights B7 Spot Light in Dark Grey will suit any colour scheme whether your taste is bright and bold or quiet and neutral. German designer lighting company Gant Lights product distinctive luxury lights for your home or commercial space using architectural influences for a series of timeless and elegant lighting designs. The B7 Dark Grey Concrete Spot Light is a prime example of the brand’s aesthetic and brand values in ceiling light form. This unique and minimal ceiling light design measures at 10cm height, 10cm width and has a depth of 10cm for a geometric cube form. The spotlight is fixed directly to your ceiling for a neat and subtle ceiling light aesthetic. To find out more about the other products in the GANTlights collection and everything else in their range, please visit the dedicated GANTlights brand page.